Regular readers of Our Lady will already know much of our story. Three and a half years ago, Rose and I were both extremely overweight. We didn’t have a healthy lifestyle. Much of our food came from restaurants where we would clean our plates. Snacks would usually be sugary sweets. We didn’t – couldn’t – do much of anything that required physical exertion. 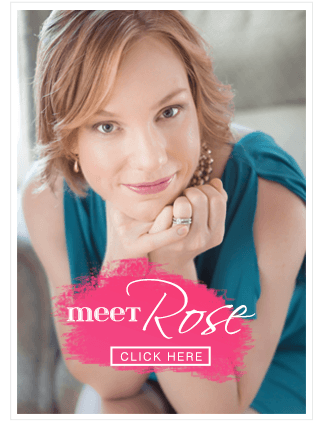 Rose had brought up dieting several times, but I was reticent to do anything about it. It’s kind of difficult at this point to understand why. I think the biggest part was low self-esteem; I just wasn’t worth working hard for myself. I had in the past dieted, and even lost significant weight, but I hadn’t kept it off. It seemed like my body just wanted to be fat. At the same time, we were talking seriously about starting our family. I wanted to have children, but the thought of chasing after a toddler or just playing on the floor was frightening to me. I might modify the saying to include “the perceived pain to change.” Occasionally we commit to doing something, discover that it is harder than we thought, and persevere to reach a sense of accomplishment. Frequently we avoid something because we fear it to be more difficult than the reality, and ultimately regret not doing it earlier. Rose finally said that she was going to join Weight Watchers. She pleaded for me to join her, but would do it without me. I could see that Rose really wanted to do something about her weight and mine. She was in pain, and she needed my support. I knew that if we did have children, they would need me to be active in their lives. Finally, I needed to do something, and I didn’t have any better ideas. It was difficult for me to say yes, but at that point, it would have been even more difficult to say no. Losing weight was not as difficult as I thought it would be. Not to say that losing weight was easy. But once I had committed, I discovered that many of the tools I needed were readily available. Also, I didn’t have to change everything all at once. At about the same time, I had a reassignment to a work location with terrible parking. After I rode the company-provided shuttle bus on the first day, I chose instead to walk the 15-to-20 minutes from my car to my desk in the morning, and again in the afternoon. I didn’t enjoy the walking, but I knew I needed to do it and now that I am back in an office with great parking, I miss it! July 2009, enjoying an afternoon of hiking and playing outside. Rose has been an amazing partner along the way. I’m not much of a cook, so I have depended very much on her to plan and prepare healthy meals. I love that she has been adventurous, and have discovered many foods that I would have avoided previously. (Tofu, anyone?) I hope she inspires you to try new things! As we have progressed, we have needed to up the game to keep going. We have done a handful of 30-day challenges. For example, we both enjoy lattes. We would drink them on a near daily basis, which cost us additional calories and cash. We challenged ourselves to no lattes for 30 days. I made up for it by making a fresh pot of drip before leaving the house. After the month was up, we both broke the habit, and a latte is now an occasional treat – which is even more enjoyable. A lifetime of healthy living! Our big secret is that the changes we have made over the past few years are sustainable. They have become new habits, and have redefined “normal” for us. We make a conscious selection of healthy, balanced meals. When we make our own food, we don’t put more on our plate than we need; if we are dining out, we don’t have a compulsion to clean the plate. Physical activities are part of most every day. Keeping up with our toddler! Reaching my Weight Watchers goal, this last week in particular, put an underline on the importance of these good habits. In the four days prior to weigh-in, I had been to four different parties. I ate delicious foods, drank beer and wine, and enjoyed a variety of treats! Meanwhile, I was keeping an awareness of eating balanced meals, and stopping when I was full. (Well, maybe one more cookie…) Simply not gaining weight would have been an achievement! Losing weight in such a week is incredible, especially to myself. Rose was very puzzled by my subdued reaction to the weigh-in. While this milestone has been met, I do not feel like I am “done”. I still want to lose 20 more pounds for my personal target, and be more muscular as well. I want to keep learning and keep healthy every day for the rest of my life. I want to do this with Rose by my side! December 2011, down 167 pounds and feeling more confident than ever! congratulations! loved your post. so happy for you both, and your little guy. Thanks for your kind words! Also thanks to all the quiet readers for making this a very popular post. Mike, thank you so much for sharing your story! You were right – tissue was needed! Congrats to both of you!!! Both of you are truly inspirational” Thank you for sharing your story.